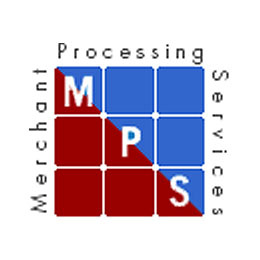 Merchant Processing Services, Inc. is one of the industrys fastest growing innovative providers of financial services and payment processing solutions. Through our extensive experience in merchant services, infrastructure planning and equipment deployment we are able to provide our clients with fast and reliable financial services, superior customer support and overall cost savings. Accept all payment types and process transactions the way you prefer; in real-time or deferred processing, quickly and securely. MPS, Inc. is a registered Bank of America service provider for Visa, MasterCard, Discover, American Express, Diners Club, and JCB credit cards. Although we provide a wealth of standard credit card processing services, we also have a variety of customized solutions to fit any businesses requirements. By providing a wide array of terminal and software options, MPS is able to devise a program best suited to your business needs. By utilizing several authorization and capture networks, MPS also accommodates existing point-of-sale systems with ease. A pioneer in the industry, with unsurpassed service and technologies, MPS will give you cornerstone support to reinforce your foundation. Flexibility, security and convenience are crucial in payment processing, and debit cards are no exception. Give your customers the ability to use debit cards and gain the benefit of a payment option that offers simplicity and a high level of security to your customers. When a debit card is issued, the account holder must select his or her own Personal Identification Number (PIN). Neither signatures nor IDs are required when accepting debit cards, as the PIN serves as the authorization verification tool. With direct access to all of the major debit networks, Merchant Processing Services, Inc has made it easy to accept debit and ATM cards regardless of your location. Whether small or mid-size, we can help you determine what solution is best for your business. Our solutions are industry-specific, including Retail, Restaurant, Supermarket, Hotel/Lodging, Auto-Rental, Gas & Convenience Stations, Mail & Telephone Order, Home-Based, and E-Commerce Internet merchant accounts. You can choose among countertop, integrated, stand-alone and wireless payment terminals models, each offering support for a variety of payment options to fit into specific merchant environments.